Military families need to watch out when booking flights through Delta, as their new default pricing ‘Basic Economy’ sets you up for a nightmare on the aircraft. When browsing Delta.com, the lowest prices displayed are now ‘basic economy’ fares. With these fares your seats are not assigned until check-in. That would typically be 24 hours prior to take-off. However, from personal experience on three recent Delta trips, these seats are being assigned about an hour prior to departure! My family of four travels twice a year to see relatives in other states. We are currently stationed near Atlanta so typically choose Delta as our preferred airline. When purchasing tickets a few months back, my wife mentioned we would not be able to choose seats until check-in, possibly leaving my son (9) and daughter (6) sitting by strangers. I told her ‘don’t worry, they will make sure our family is together when we’re at the gate.’ Boy was I wrong! We asked the gate agent to help move our kids near me and my wife. You could tell several other families were asking for the same thing, and it was too much for them to accommodate. They said they could not help us. We would need to ask fellow passengers to give up seats so we could be near our children. The problem with that is you are in a middle seat, asking people in an aisle or window to trade with you. Luckily we were able to beg fellow passengers and get my wife near my daughter. I was two seats behind my son. It was very stressful for our family, and stressful for the kids who do not like flying without a parent near by. I know you may think… just buy the more expensive fare. Those fares are around $60 more per person, so about $240 for my family. For a $300 round trip fare, we would pay 17% more to choose our seats ahead of time. I know the average fares for the cities we travel to, and the lowest price basic economy fare is not reduced from what was available in the past. So we are not saving money with this new model. We are being forced to pay a 17% surcharge to sit near our children! The Wall Street Journal recently covered this same issue. 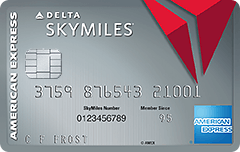 This is another way for Delta to add value to their credit card and rewards program. If you want the perk of choosing seats near your family, just sign up for a Delta credit card and become a ‘medallion member’! No thanks! What you see at the gate are business travelers in the good seats, with families spread out in every middle seat, kids crying because they cannot see their parents. Nice. Congress is considering new laws that will require airlines to seat families together. I suggest you contact Delta and complain about this policy. In the meantime, I am looking for another airline to fly on that does not implement this policy.